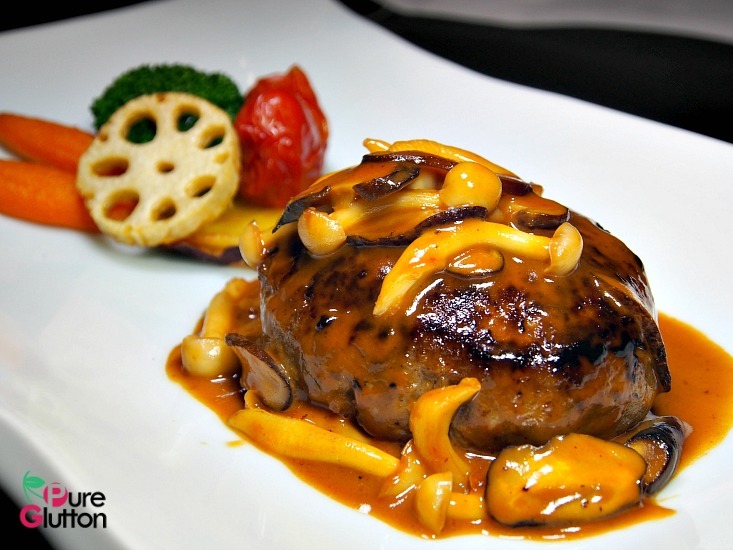 This Grade A5 wagyu is available on a special a la carte menu for both lunch and dinner. Besides the popular cuts like sirloin, tenderloin and ribeye, Chef Ricky is also introducing the lesser-known cuts like rib loin and knuckle. Cooked with the right method and matched with complementary ingredients, these secondary cuts are just as delicious. Broiling and grilling the wagyu expertly, the Aburi Sushi and Karubi Salad prove that rib loin and knuckle can be rendered just as good. 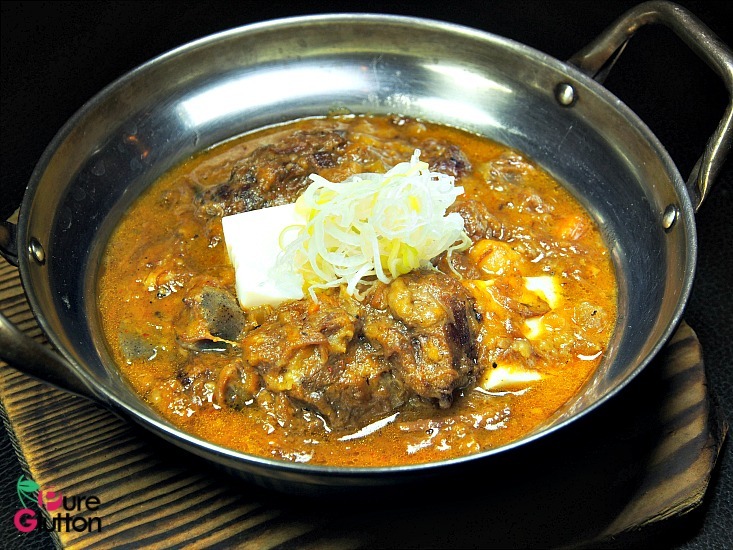 Beef skeletal muscles and trimmings are simmered with tofu and vegetables resulting in a comforting rustic stew. 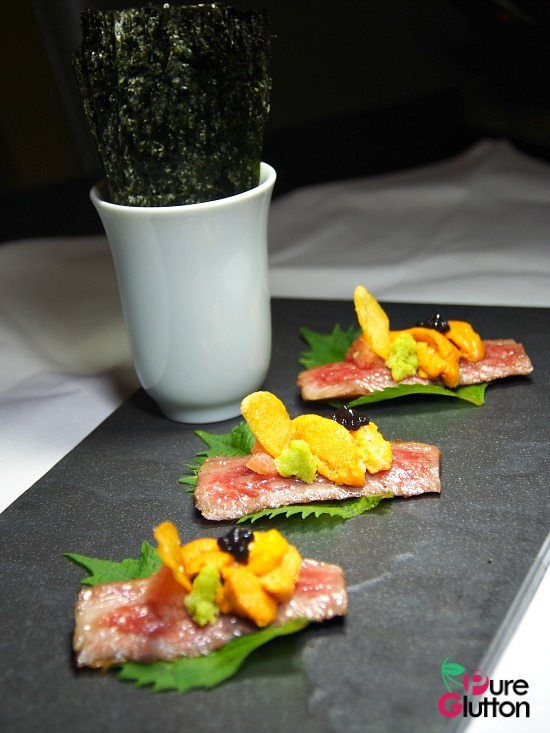 My favourite is the seared rib loin with sea urchin, enhanced with some garlic ponzu sauce. 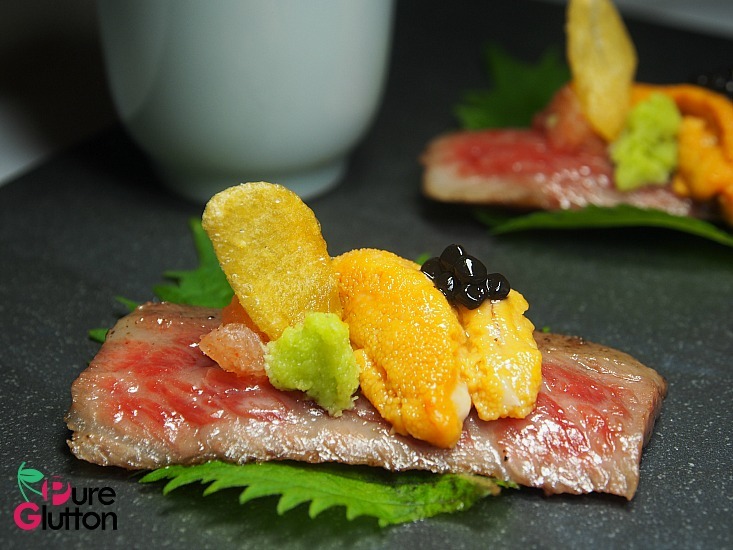 The textural contrasts from the beef, rice and sea urchin is just amazing. 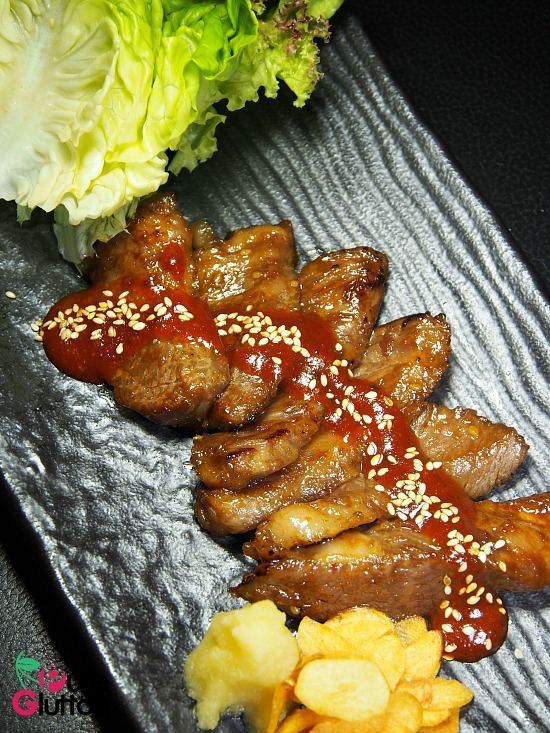 Other dishes offered under this promotion are the Toban Yaki Mojio To Wasabi Shoyu (grilled wagyu chuck roll on hot plate with sea salt and wasabi soy sauce) and Mini Onsen Tamago Karubi Donburi (BBQ wagyu knuckle & half-boiled egg with steamed rice). Prices for the dishes range from RM64-RM320. 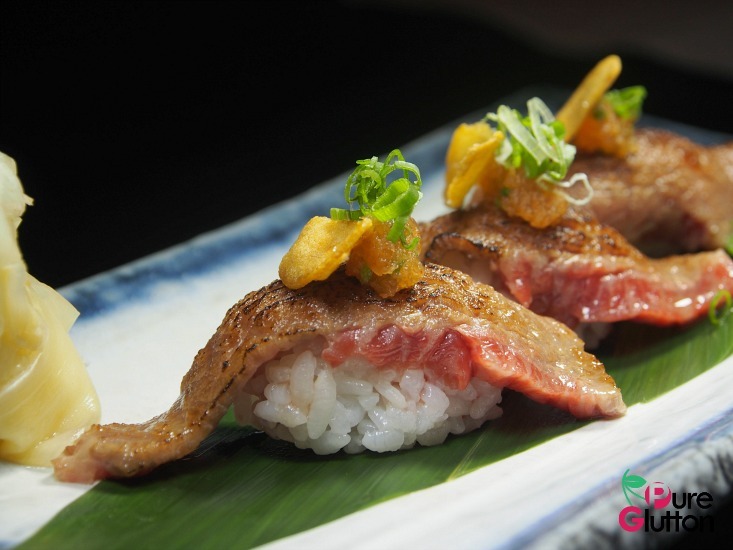 Head on over to Iketeru this month to savour these special wagyu dishes, available at both lunch and dinner. This promotion started today and is available until 31 August 2018. For reservations, please call +603-2264-2264 or visit life@hilton.com for more information. wagyu knuckle, now that’s something I haven’t seen before.